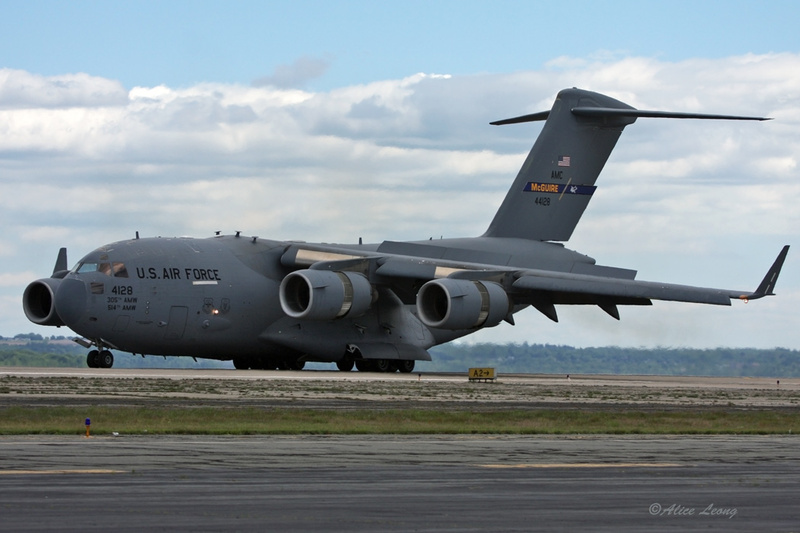 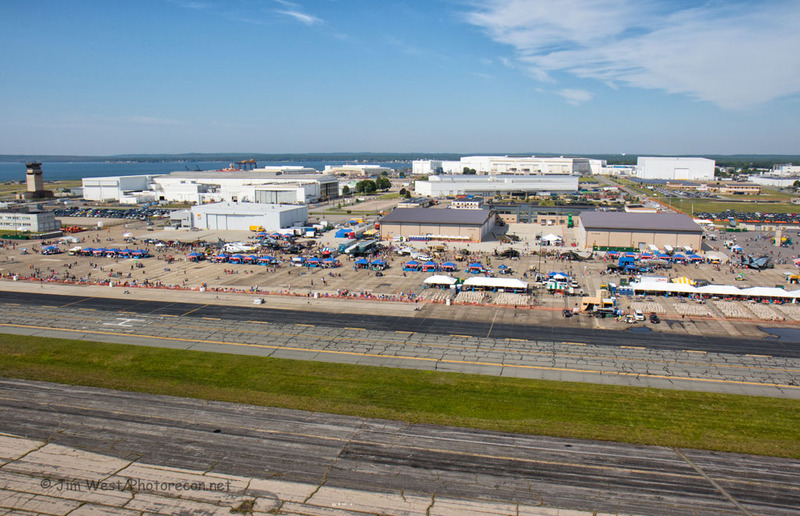 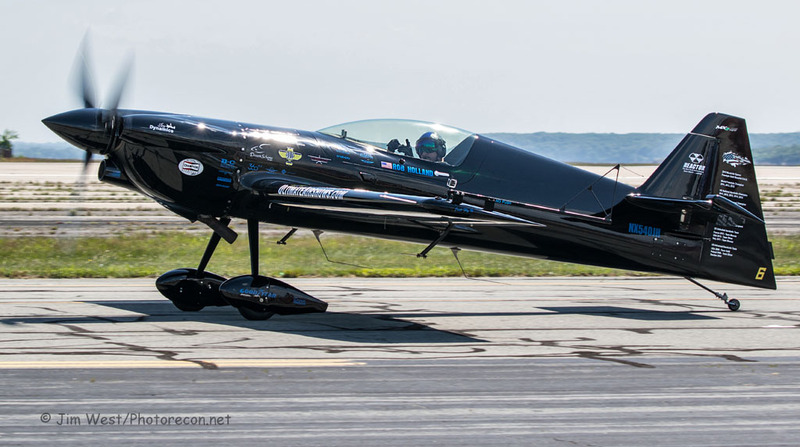 When the featured performer of the 2016 Rhode Island National Guard Open House Air show cancelled their appearance, a few people commented on social media sites that they were going to skip the annual event at Quonset State Airport. 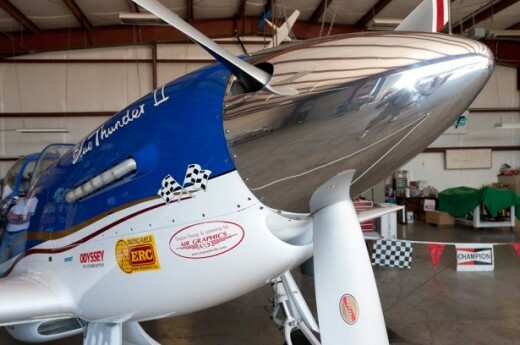 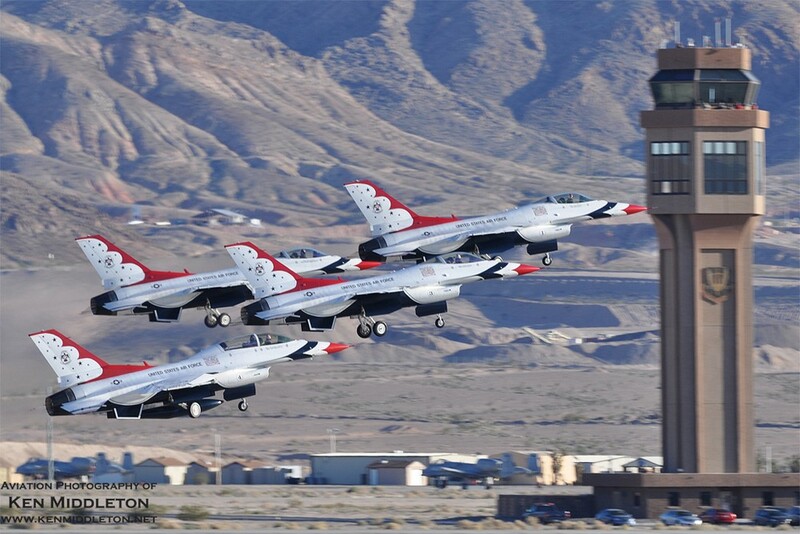 The USAF Thunderbirds’ stand down, after a non-fatal crash in Colorado a little over a week prior to the Quonset event, led to a perceived gap in the flying program. 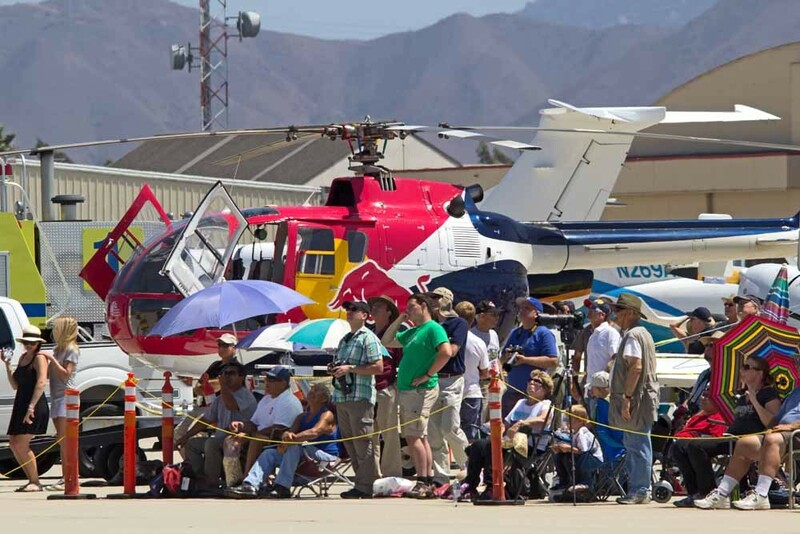 Too bad for those who chose to skip it, for the air show was still the top-notch event that spectators have come to expect. 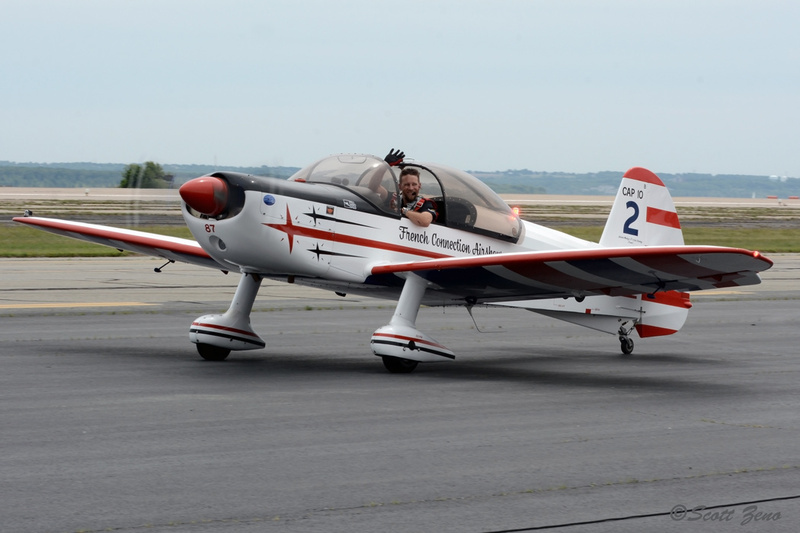 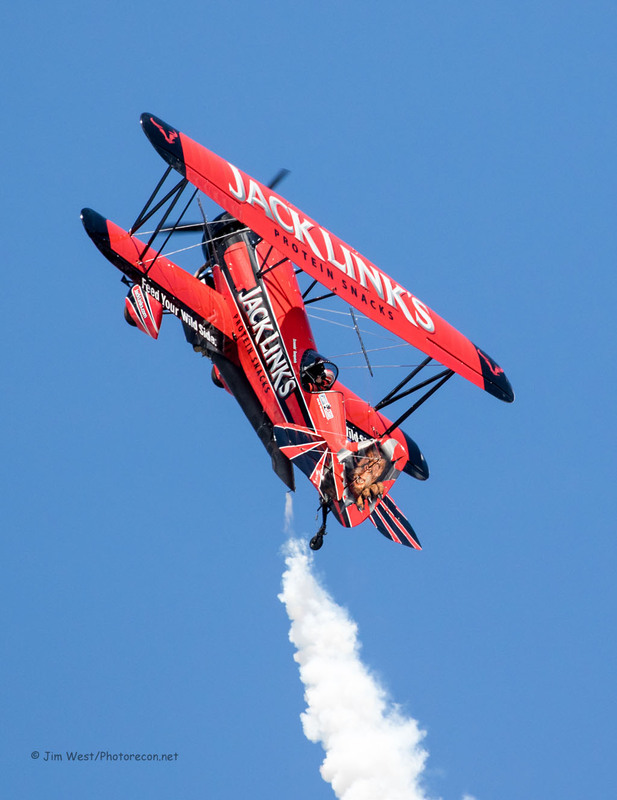 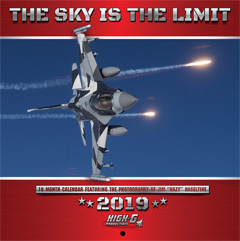 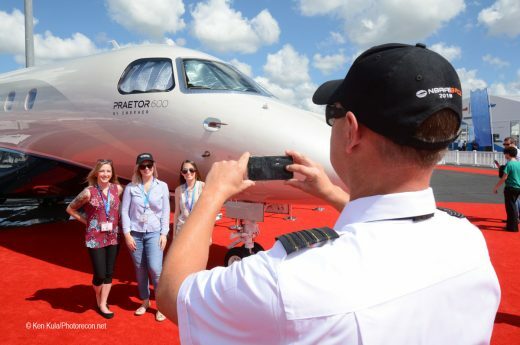 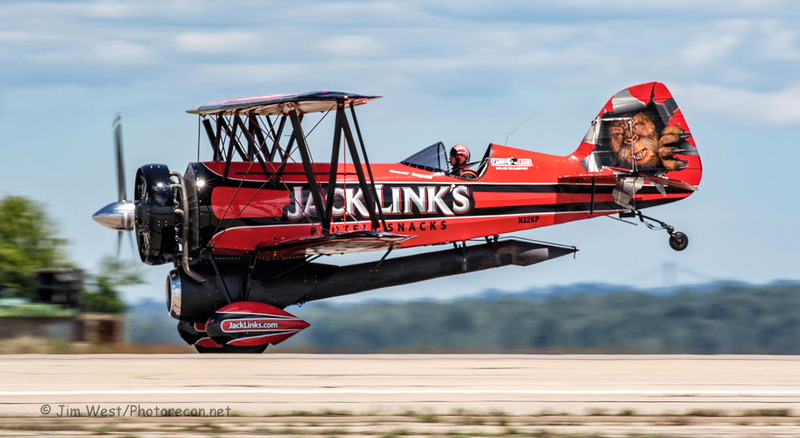 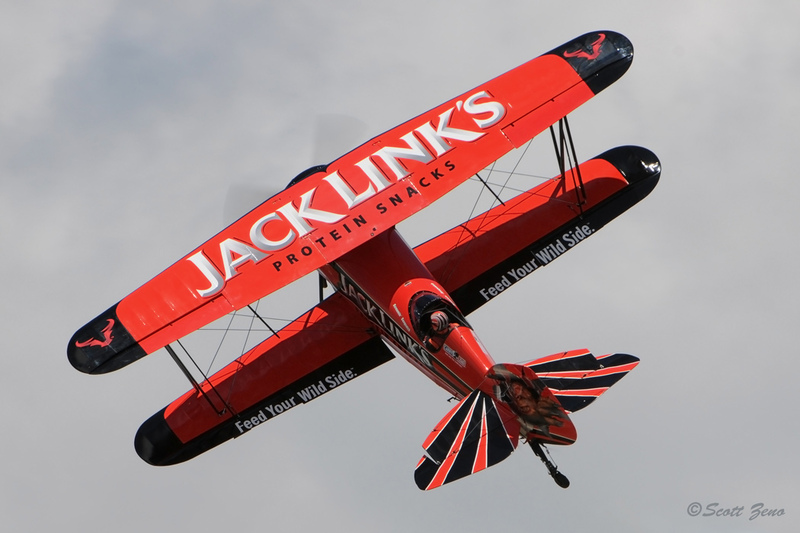 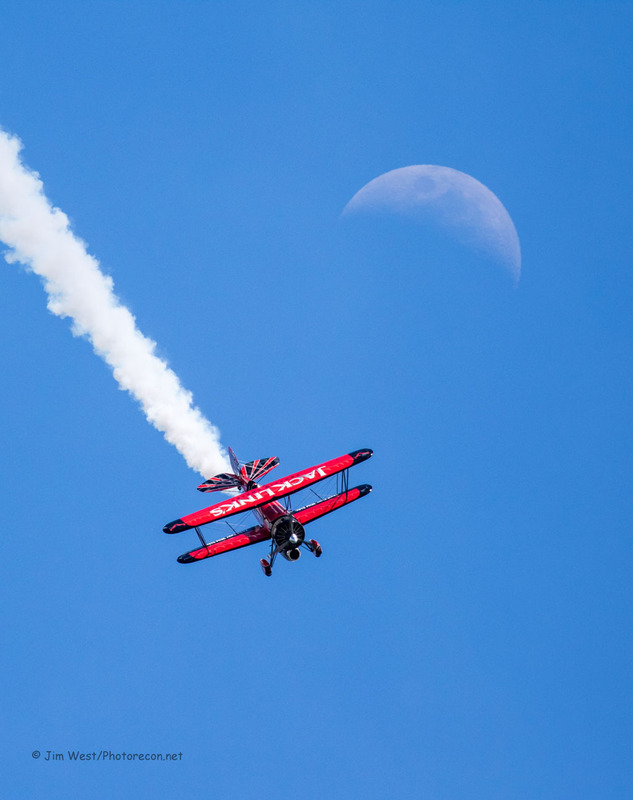 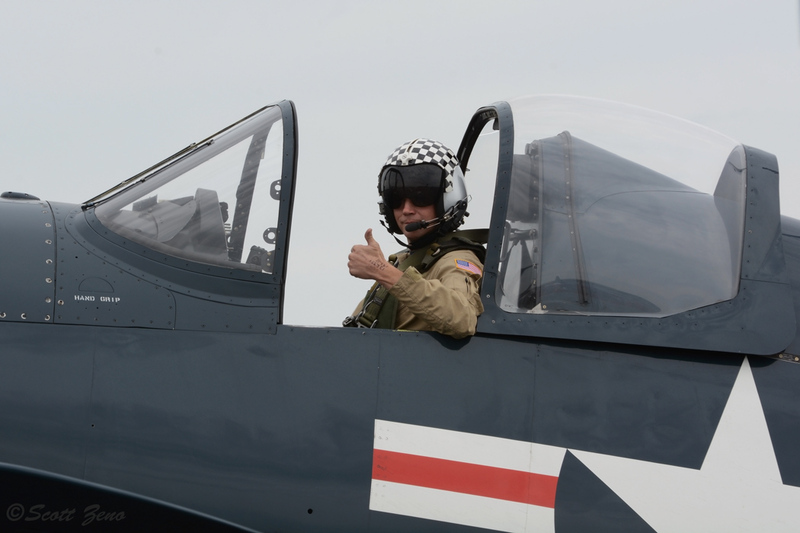 The National Guard hosts of the so-called “Quonset Air Show” have presented a mix of civilian and military performers over the years, with many flyers returning year after year due to the venue’s beauty near Narragansett Bay, plus the world-class hospitality that’s found during the event. 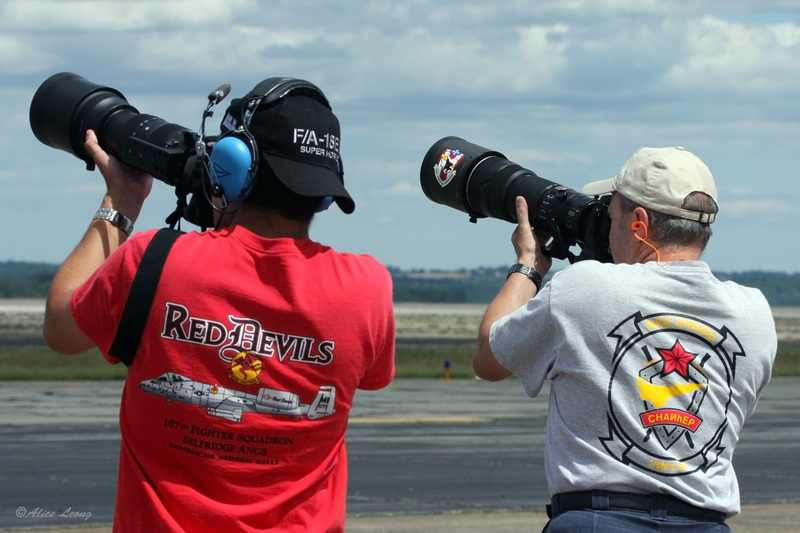 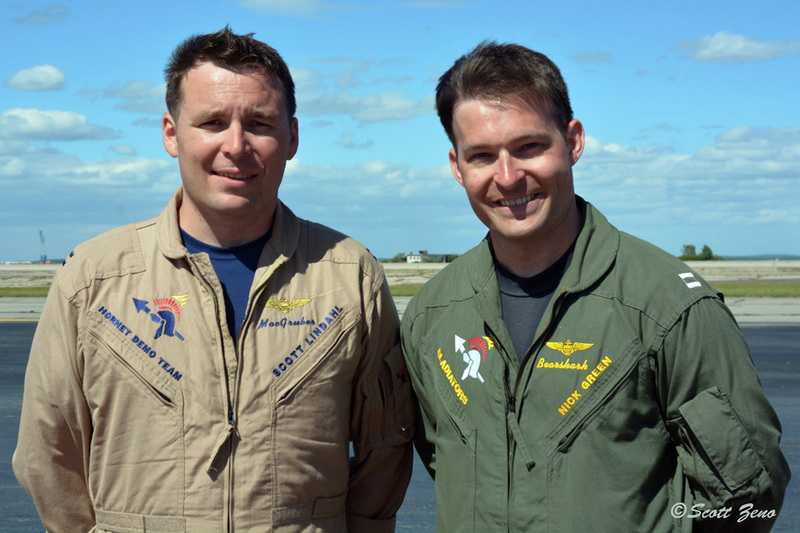 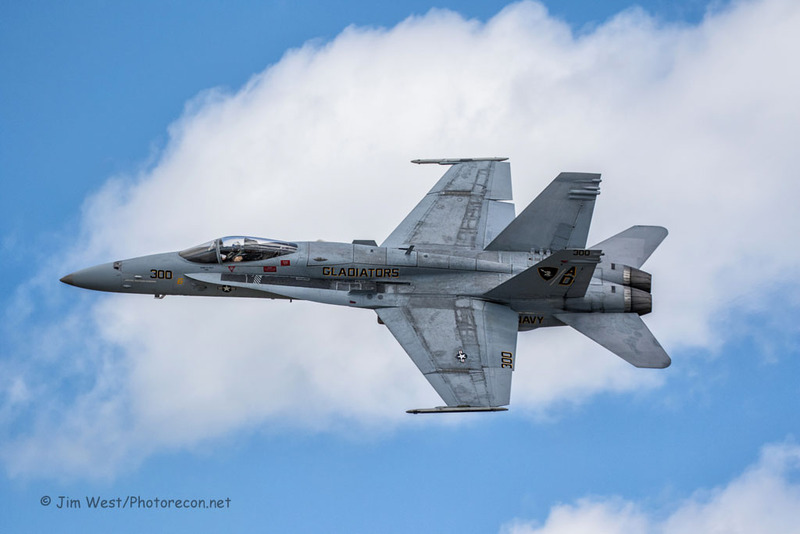 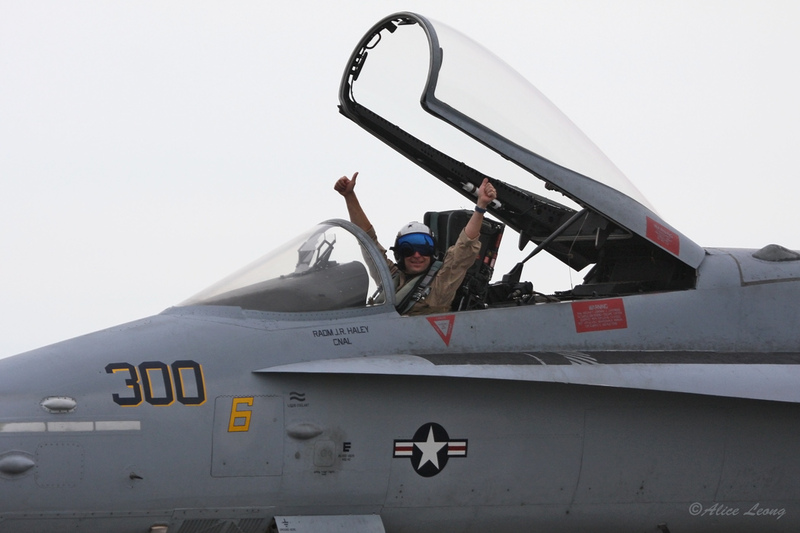 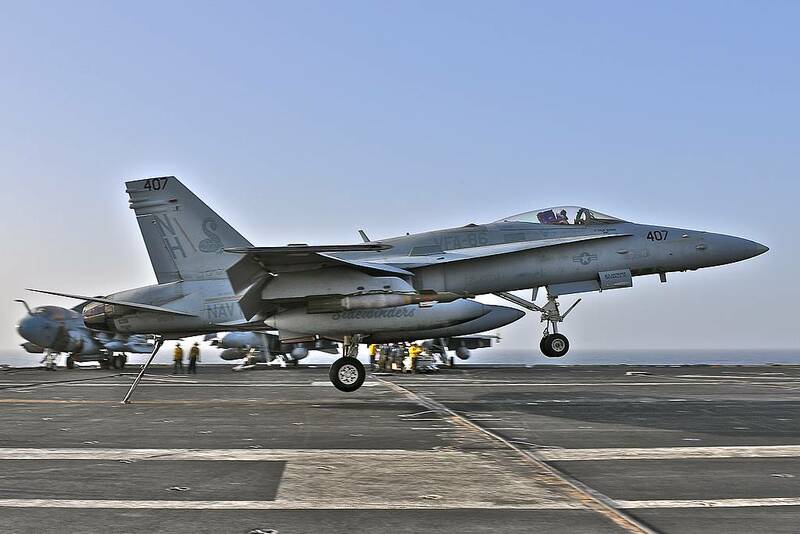 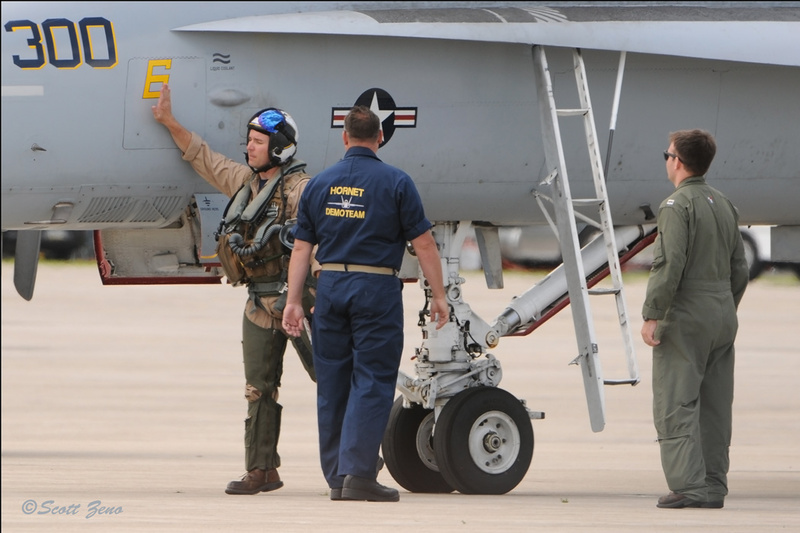 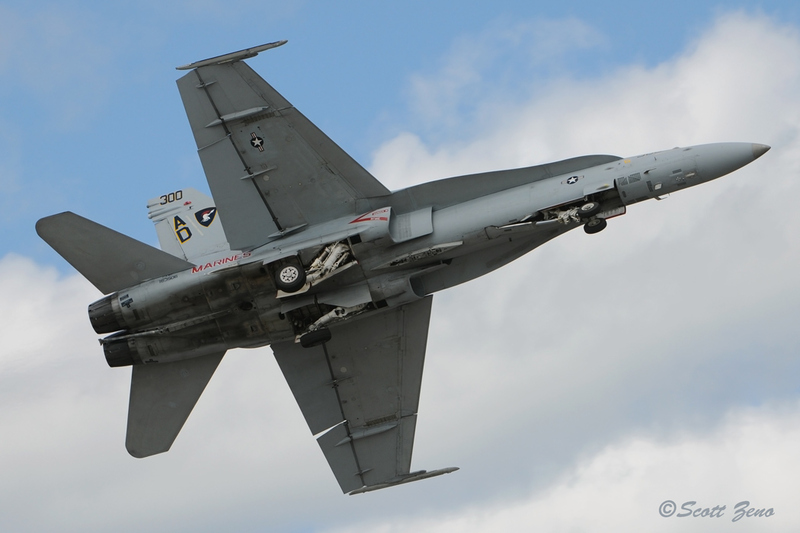 Without the Thunderbirds, military aviation was still represented loudly, with the F/A-18C Hornet Demonstration Team. 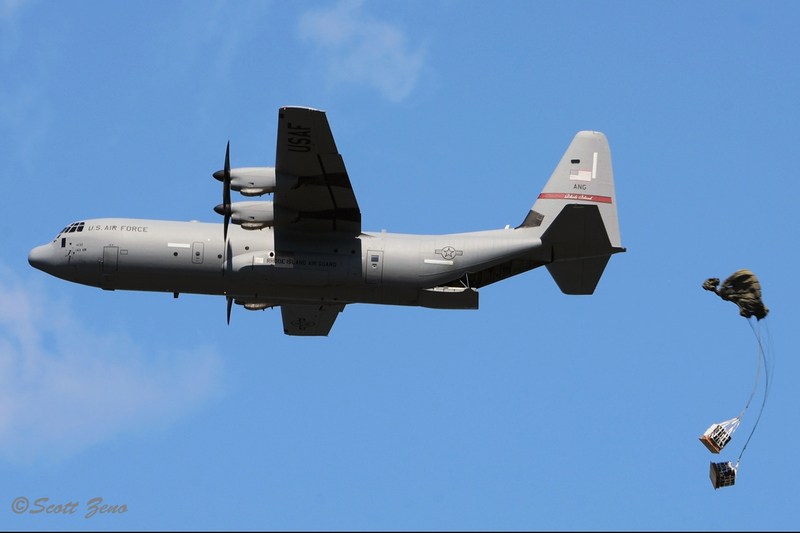 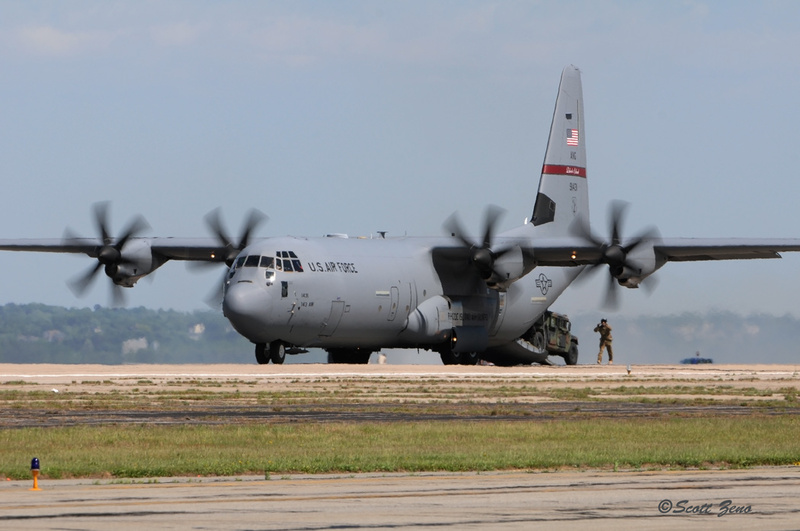 More noise was generated by the Combined Arms Demonstration which featured National Guard C-130s and UH-60s working with ground troops and vehicles, complete with pyrotechnics. 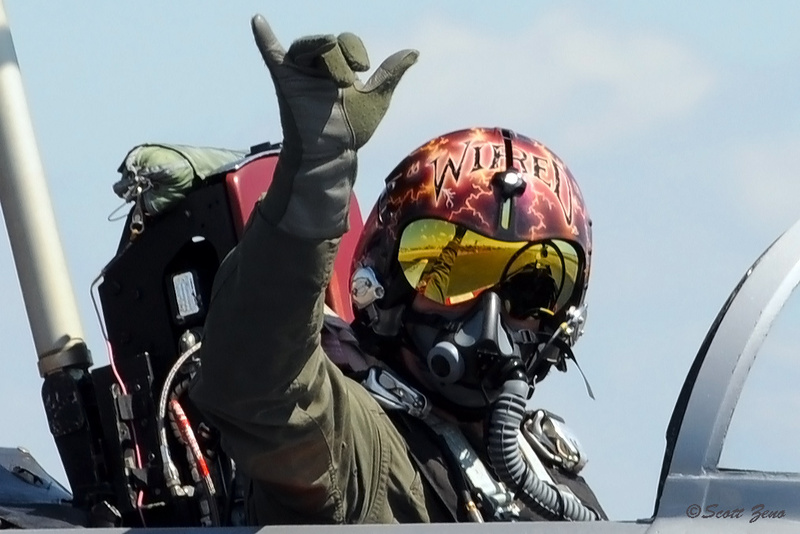 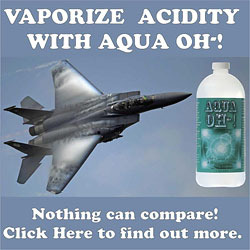 On the other end of the noise spectrum, the US Special Operations Command Parachute Team also flew in – whisper softly. 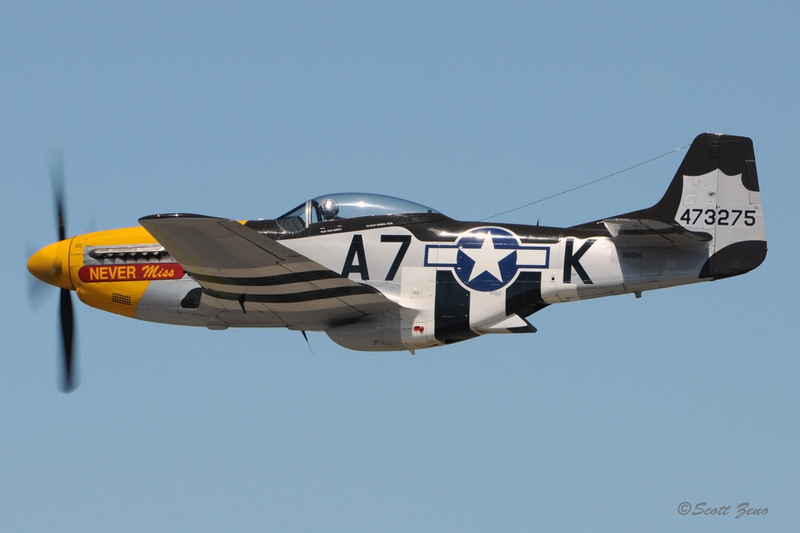 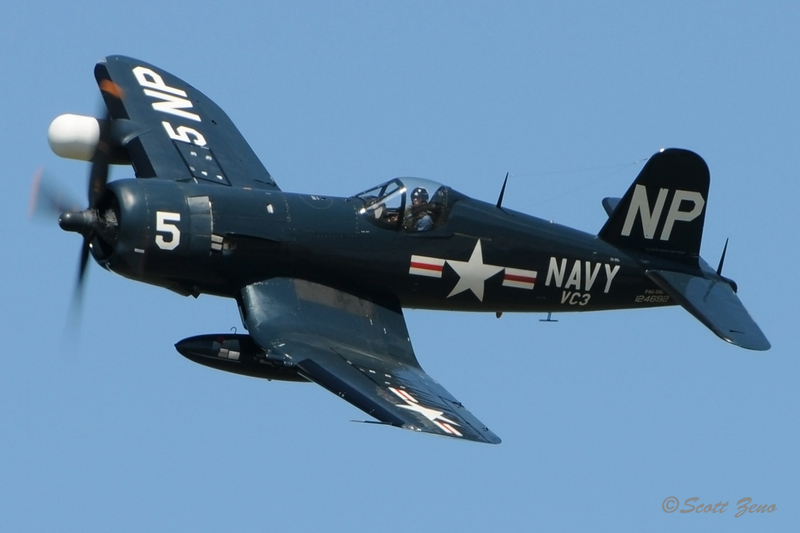 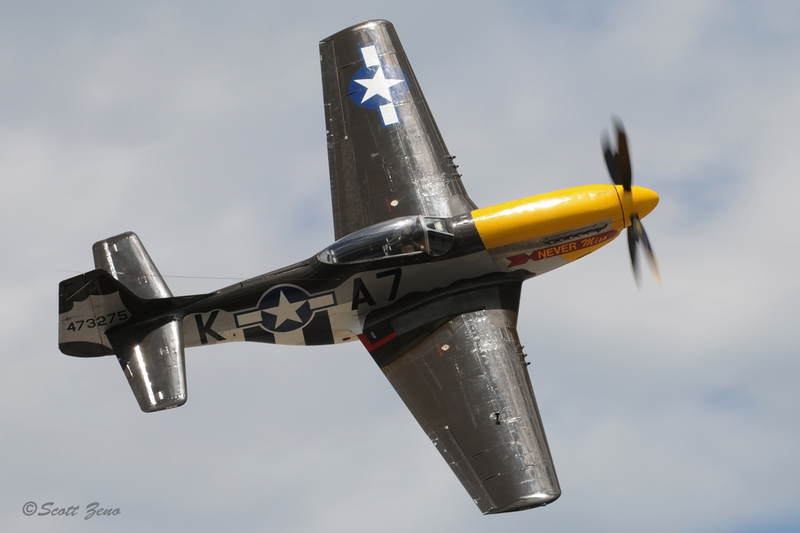 Warbirds were a big part of the show this year, with Mark Murphy flying the P-51D “Never Miss” as well as the Collings Foundation’s F4U-5N Corsair. 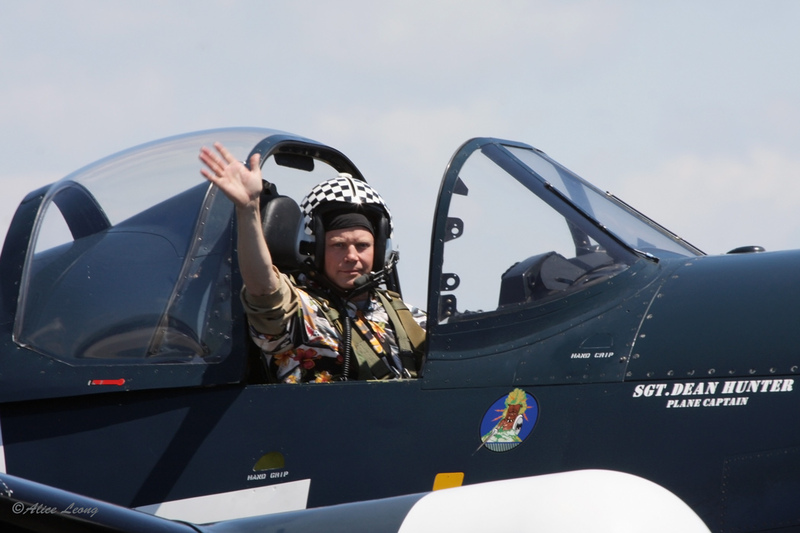 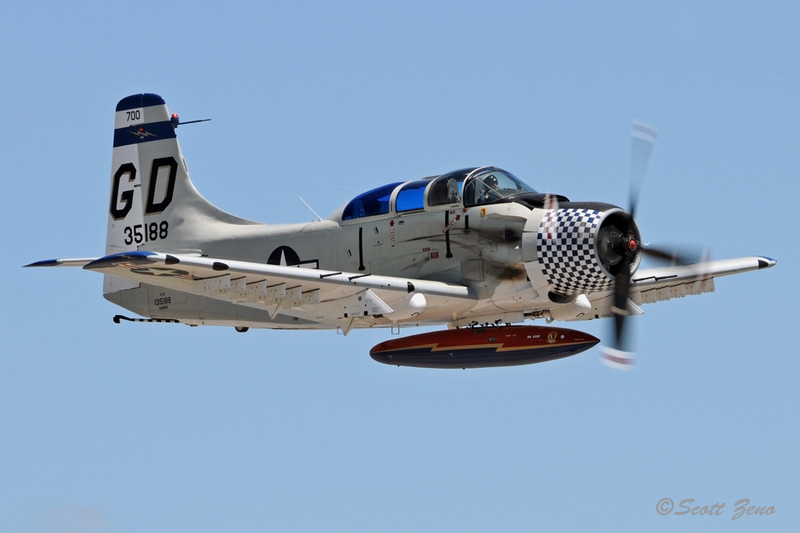 Rob Collings flew the Foundation’s A-1E Skyraider too. 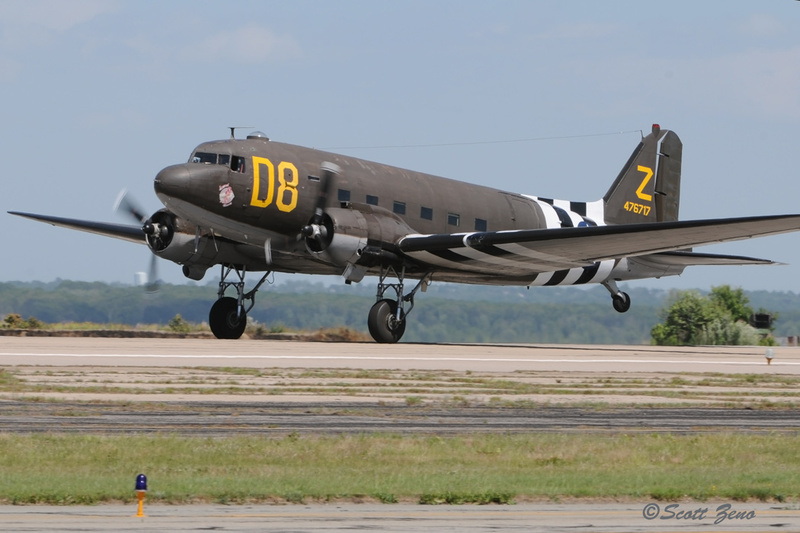 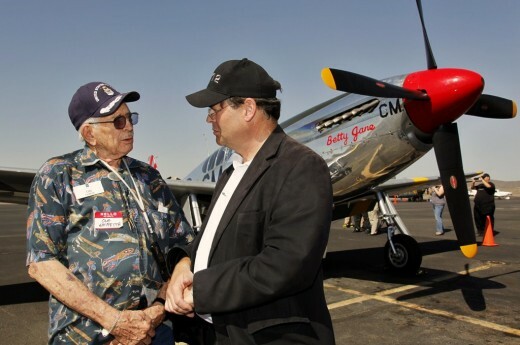 Gregory Colyer performed in his CT-133 Silver Star “Ace Maker II”, and the American Airpower Museum’s C-47 represented the Disabled American Veterans organization. 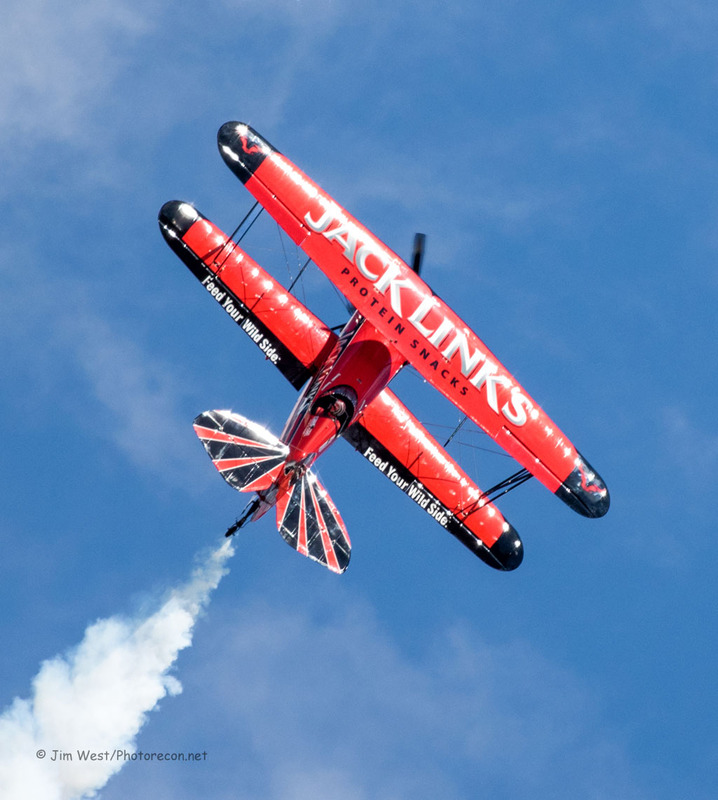 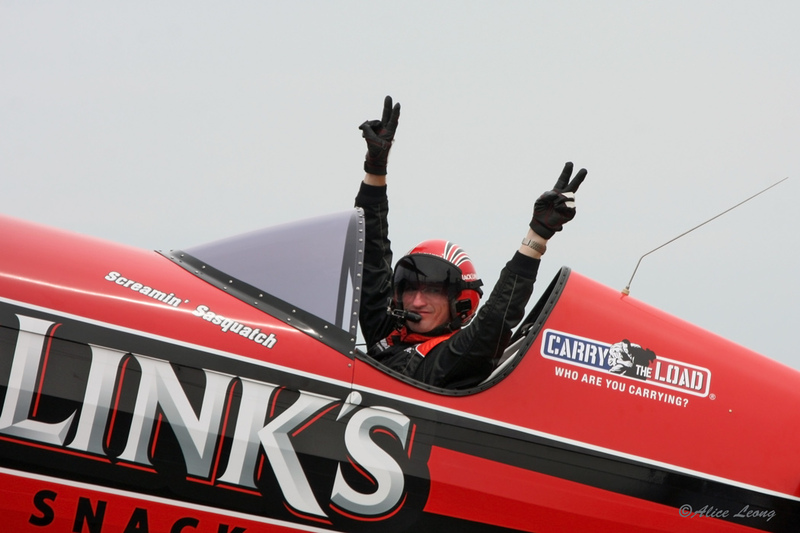 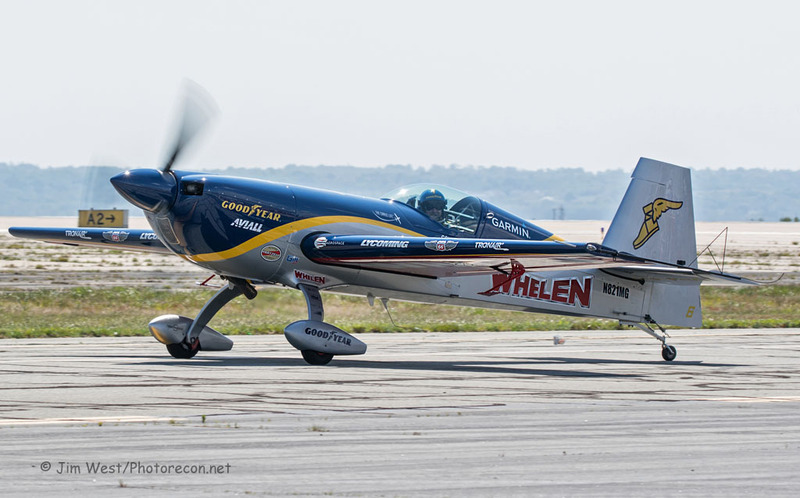 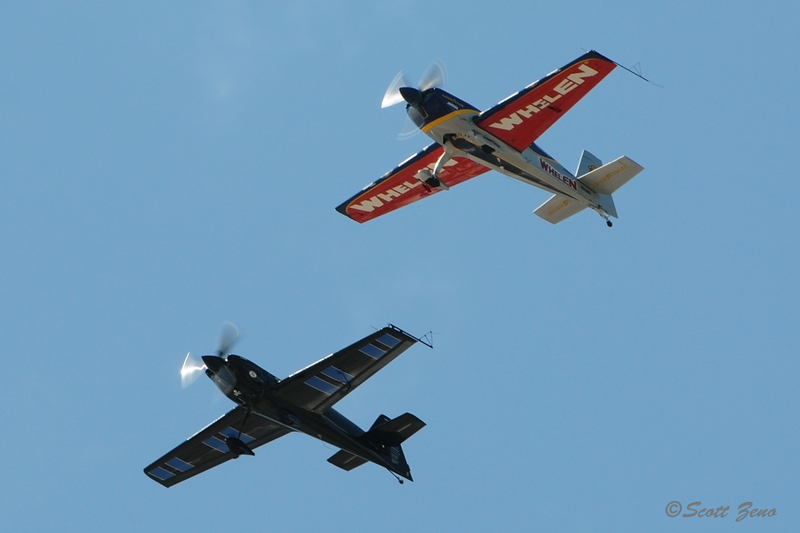 Civilian aerobatic performers included Rob Holland and Mike Goulian, both New Englanders. 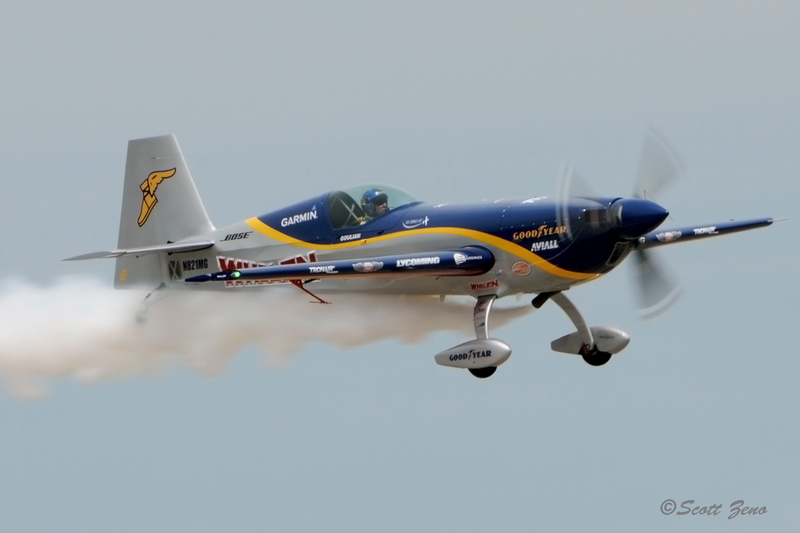 Jeff Boerboon guided the Screamin’ Sasquatch Jet WACO, and a CAP-10B was a late addition to the program, brightly painted in the markings of the French Connection aerobatic team of many years ago. 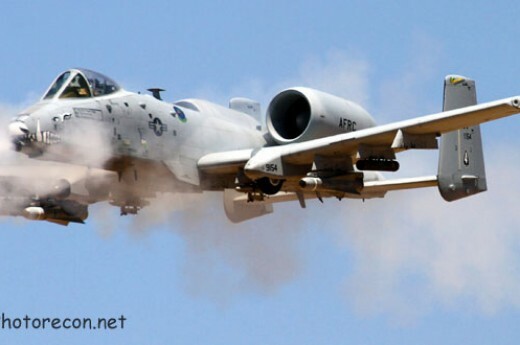 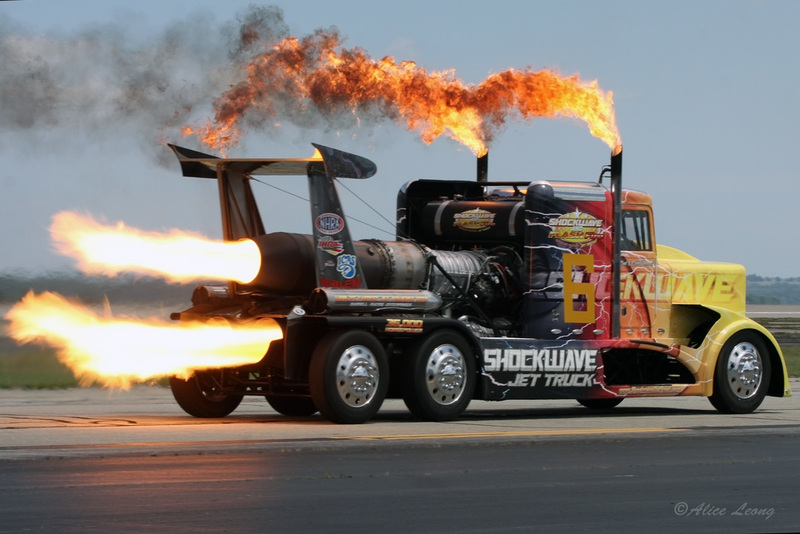 On the ground, the Shockwave Jet Truck provided more afterburning thunder to the show. 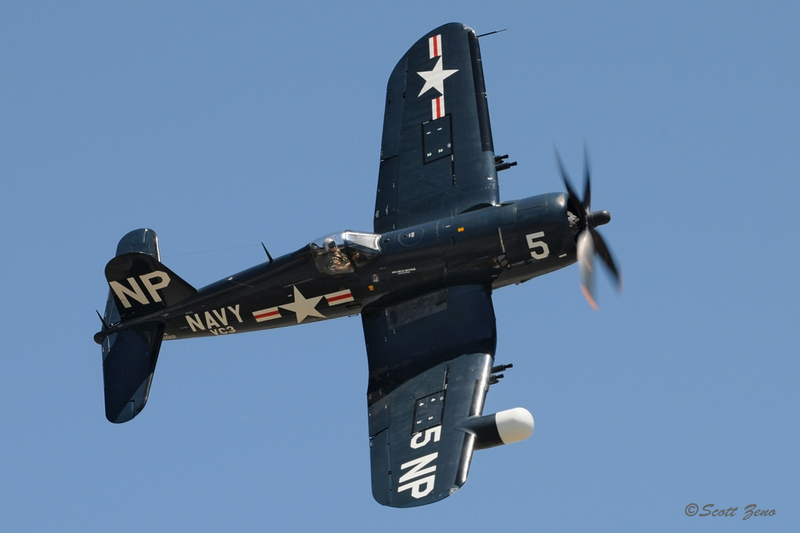 The weekend almost provided another obstacle for the show’s producers. 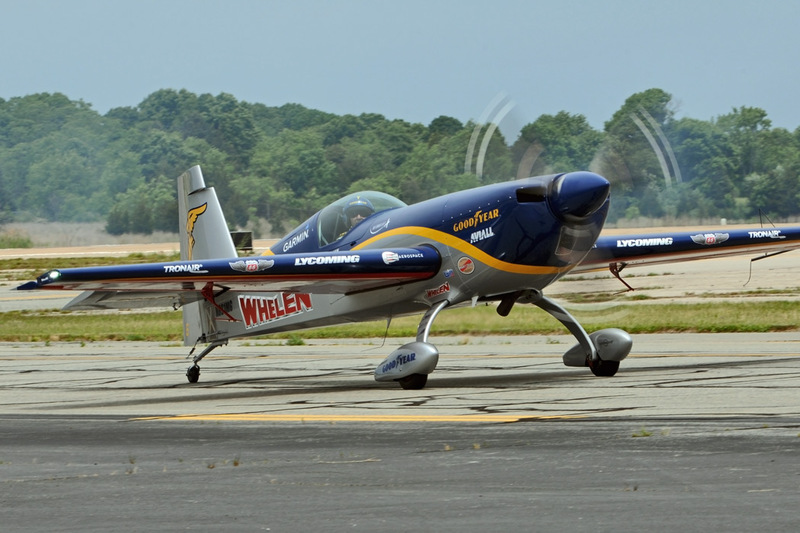 Although Friday’s practice day enjoyed fair weather, a rapidly approaching front threatened Saturday’s show. 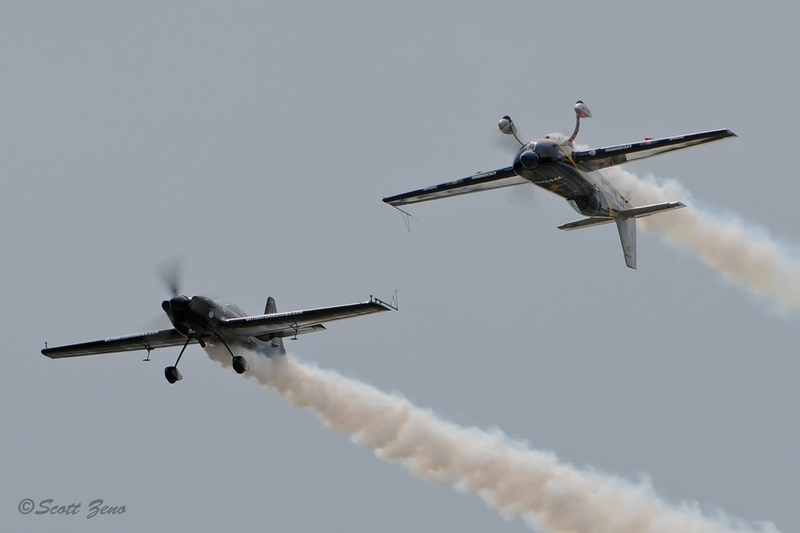 Displaying maximum flexibility, the show’s duration was shortened and all performers were able to complete their presentations before rain arrived at the Bay. 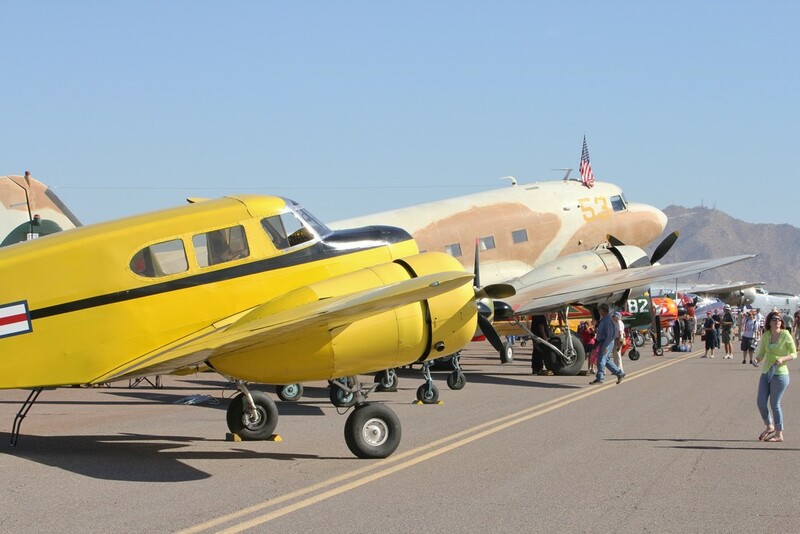 Sunday saw the return of fair weather and many performers flew two shows during the day. 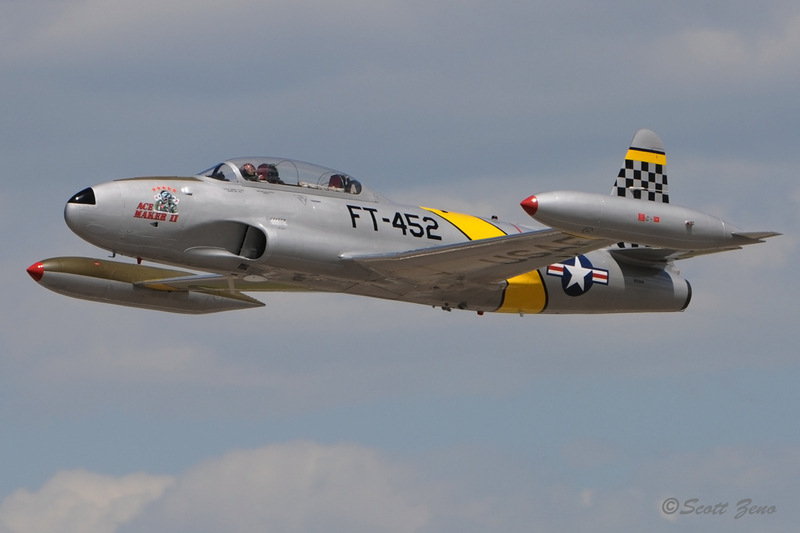 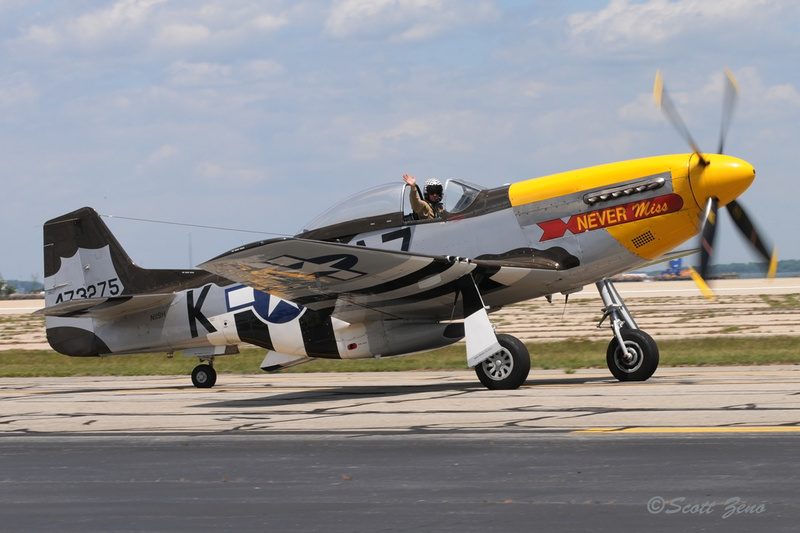 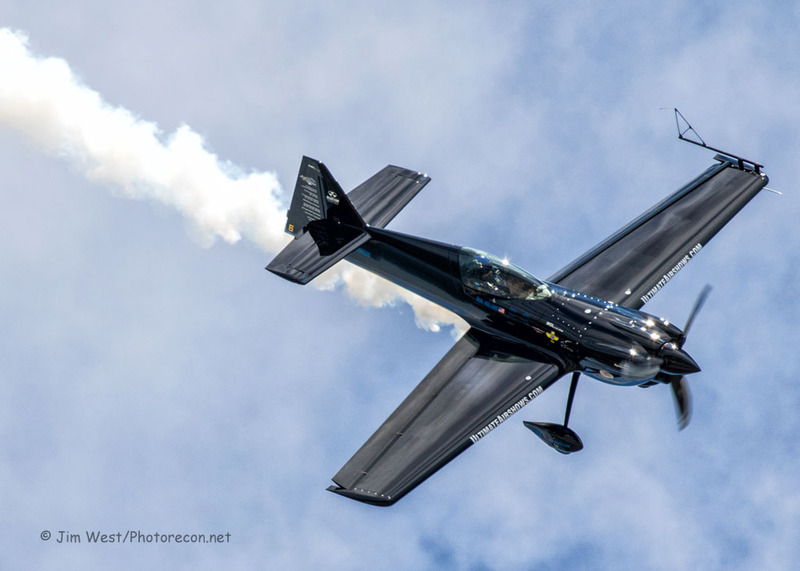 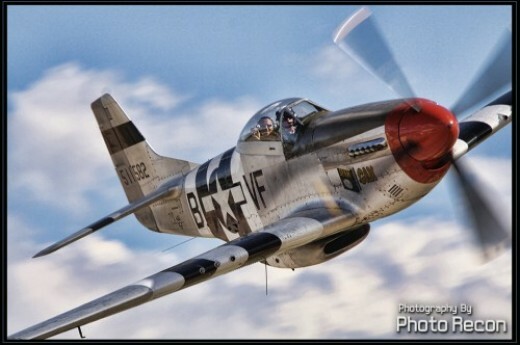 Photorecon/ClassicWarbirds photographer Scott Zeno exclaimed that “Sunday was the day of the banana pass” – as most of the performers flew multiple graceful arcing photo passes as a bonus to their already enjoyable routines. 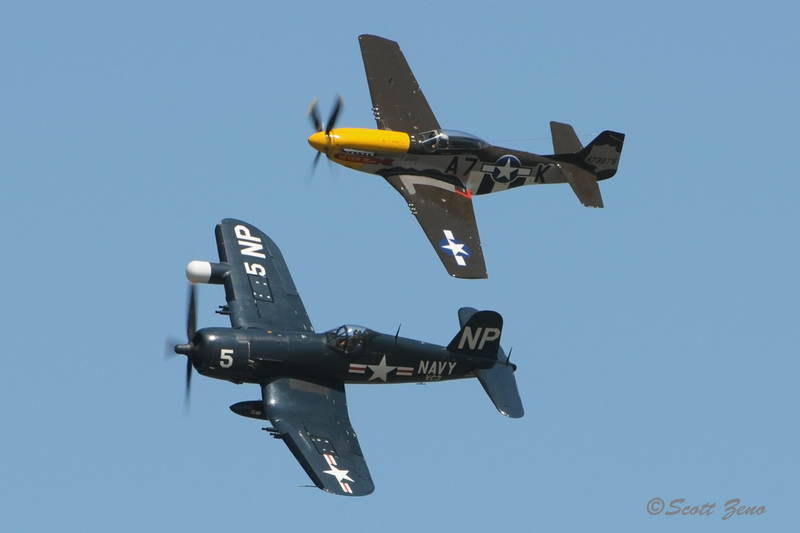 Warbirds changed up a few formations during the day too. 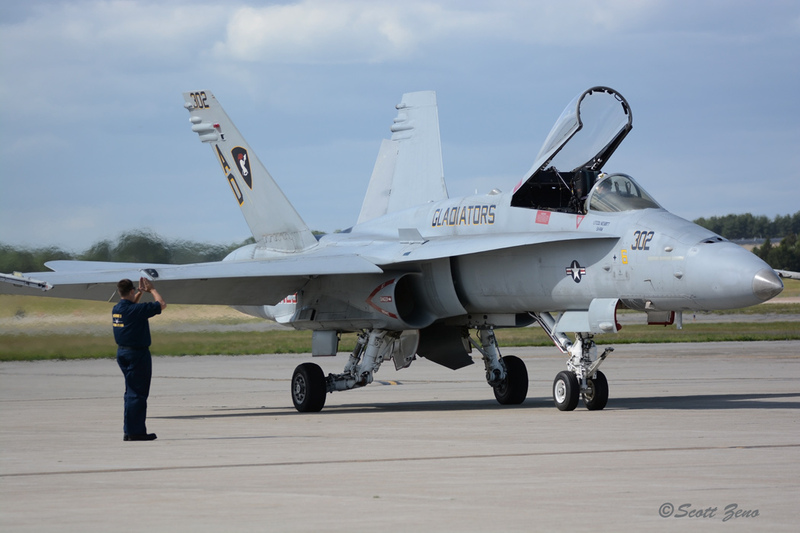 On static display, a few rarities stood out. 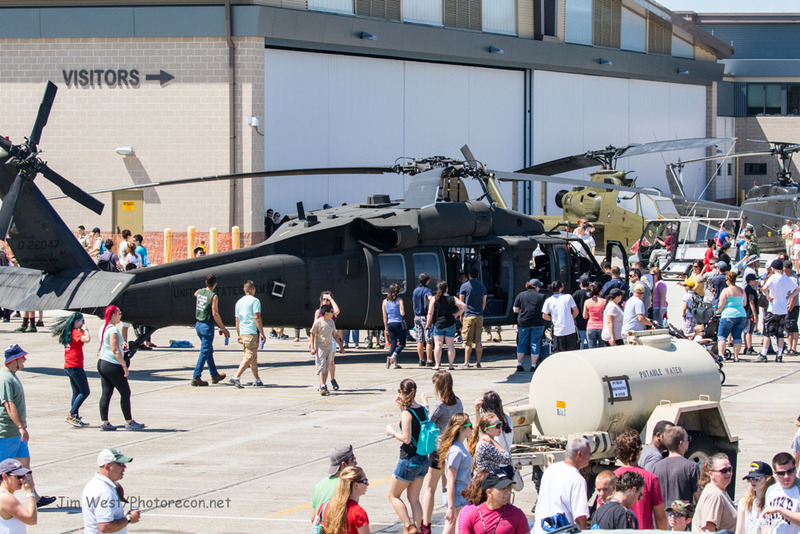 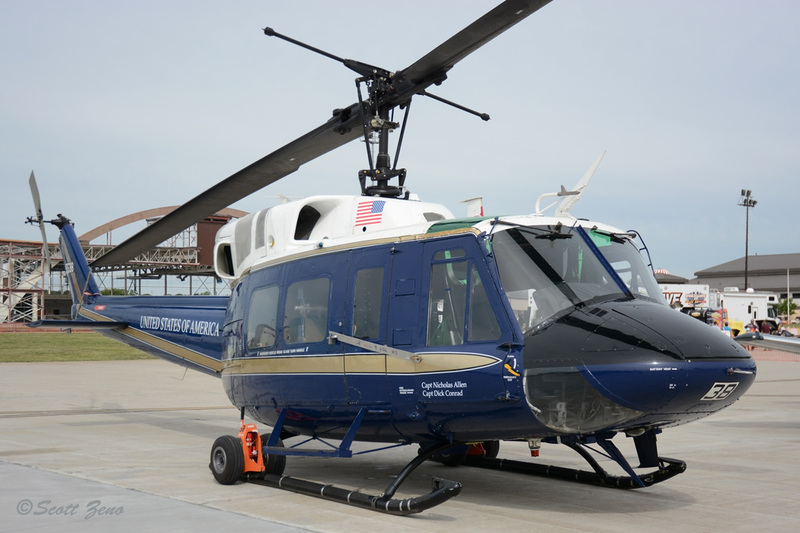 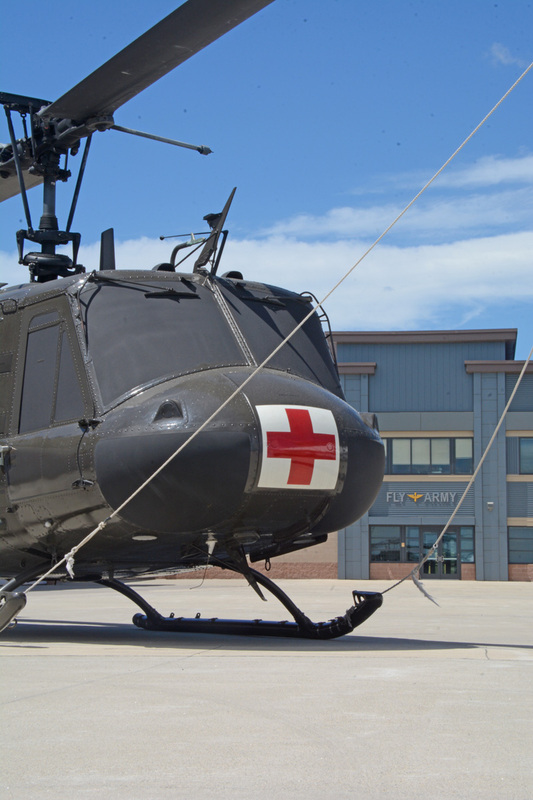 The Quonset Air Museum showed many of their collection, and the Army National Guard presented a trio of restored helicopters. 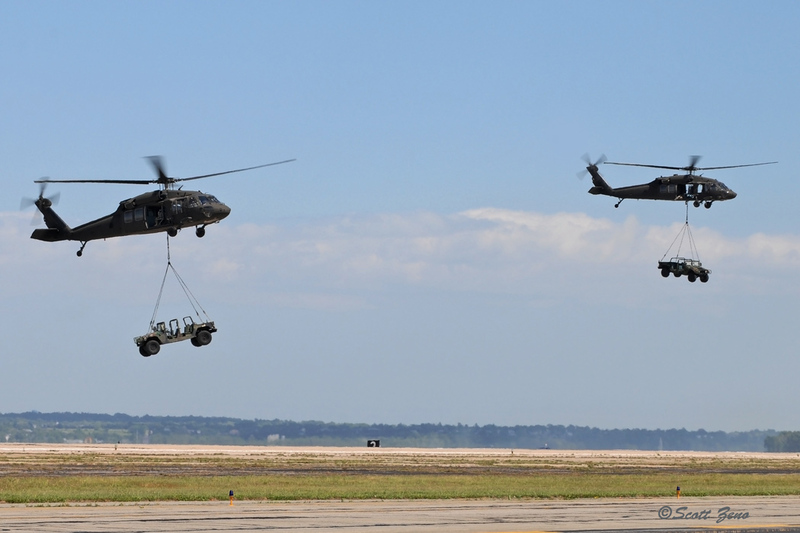 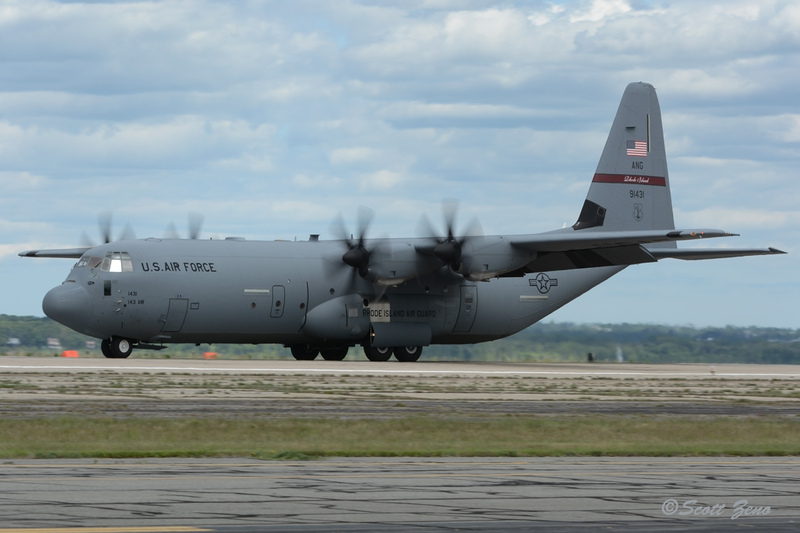 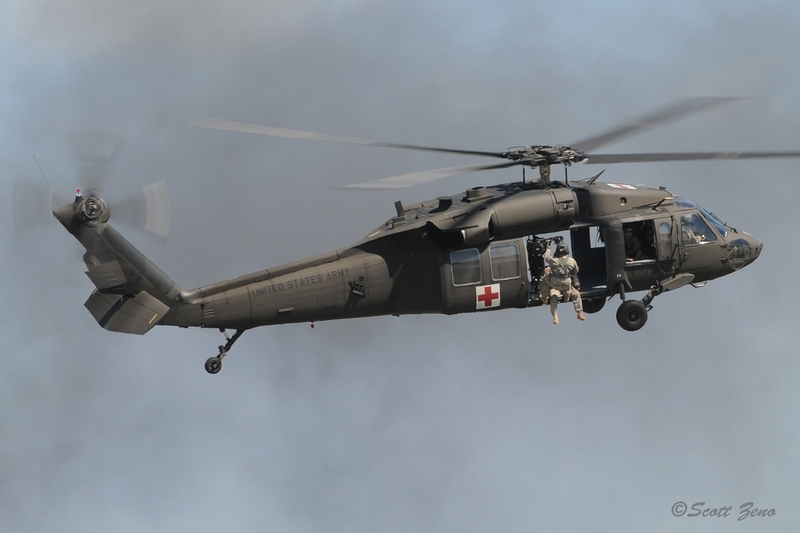 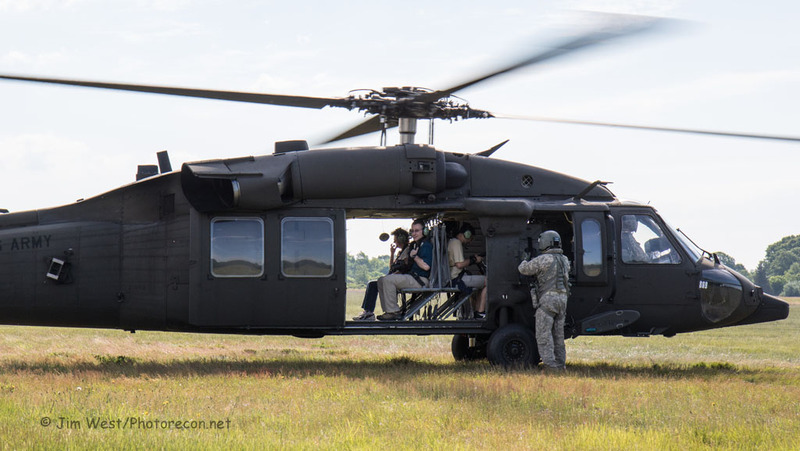 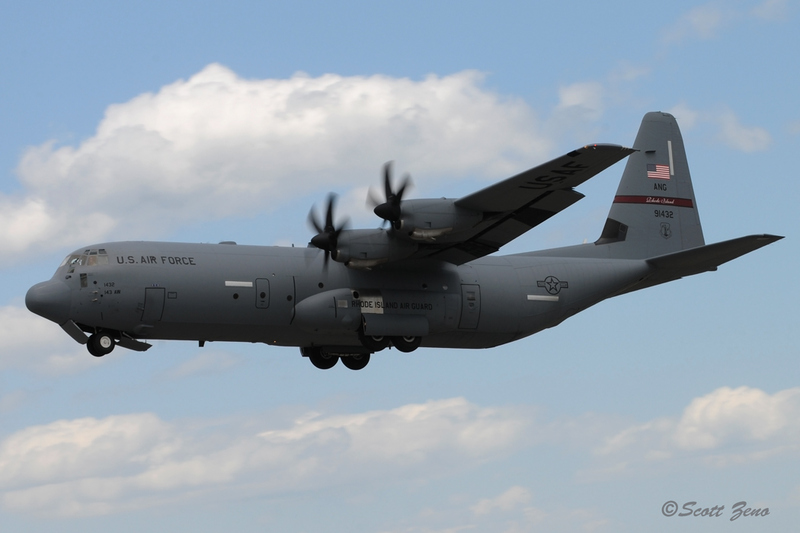 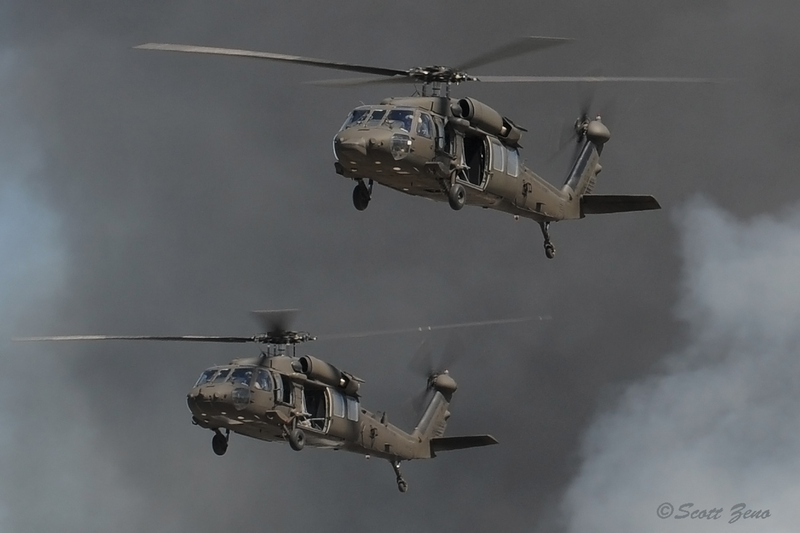 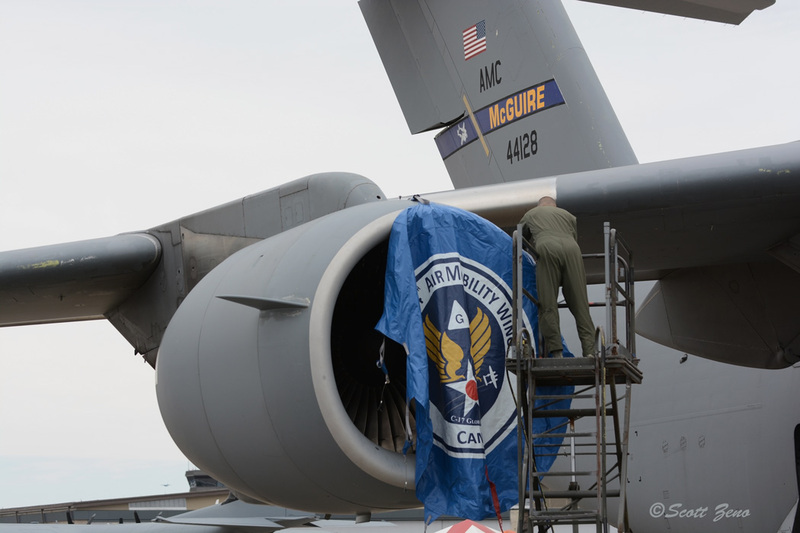 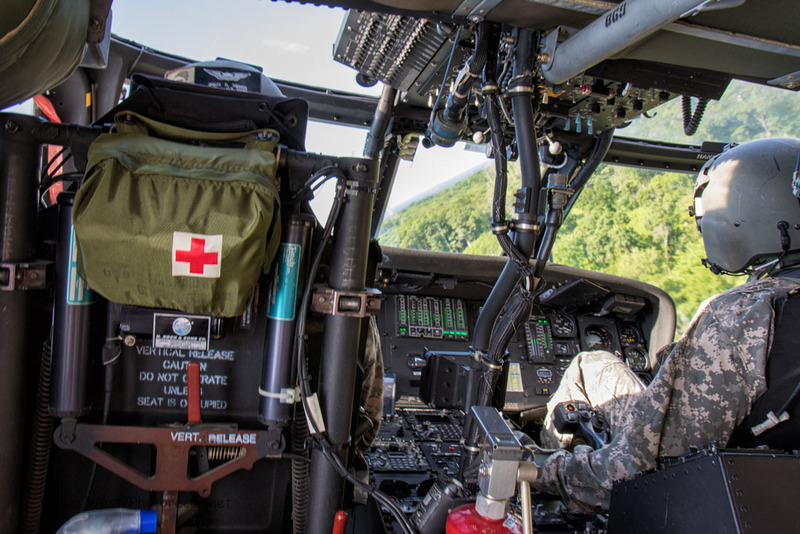 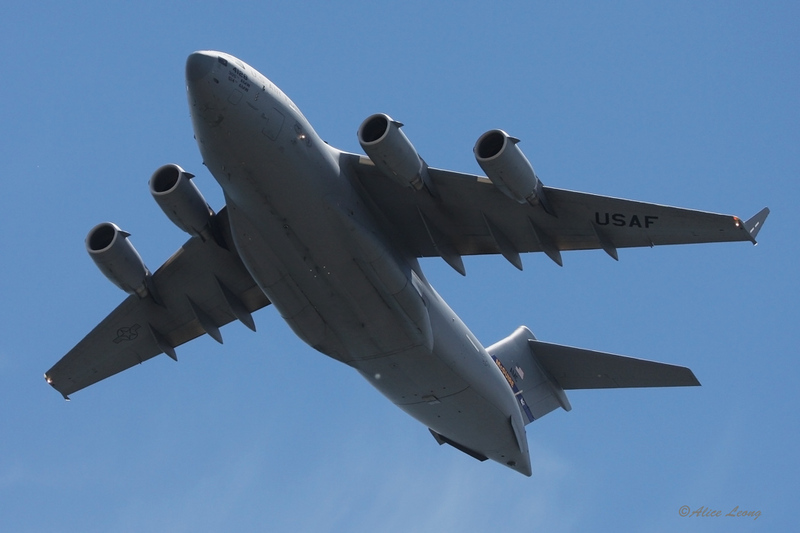 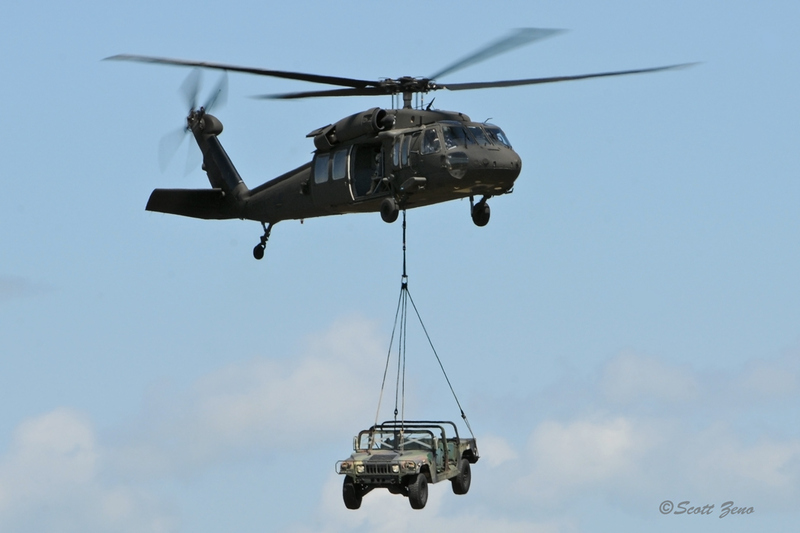 An Air Force UH-1N and C-17A were joined with local examples of a C-130J and UH-60As. 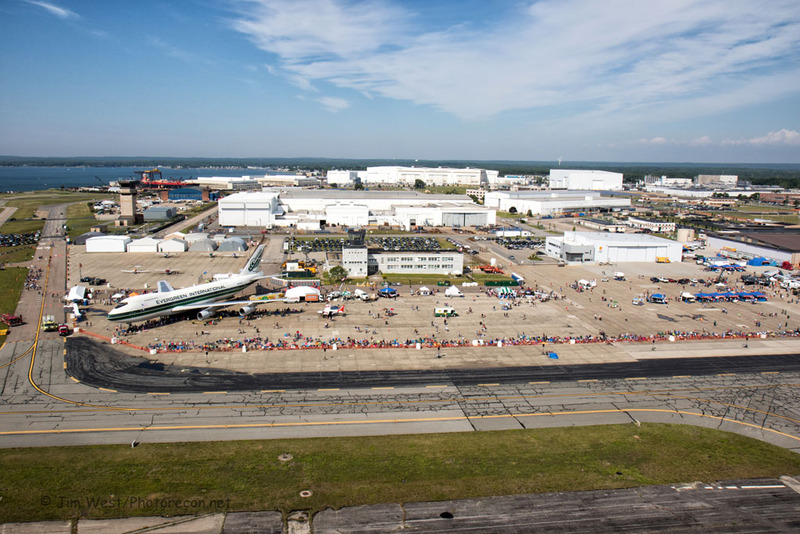 A former Evergreen International Boeing B-747 was the focus of many; a proposed museum of Air Force One memorabilia will be made from this airframe. 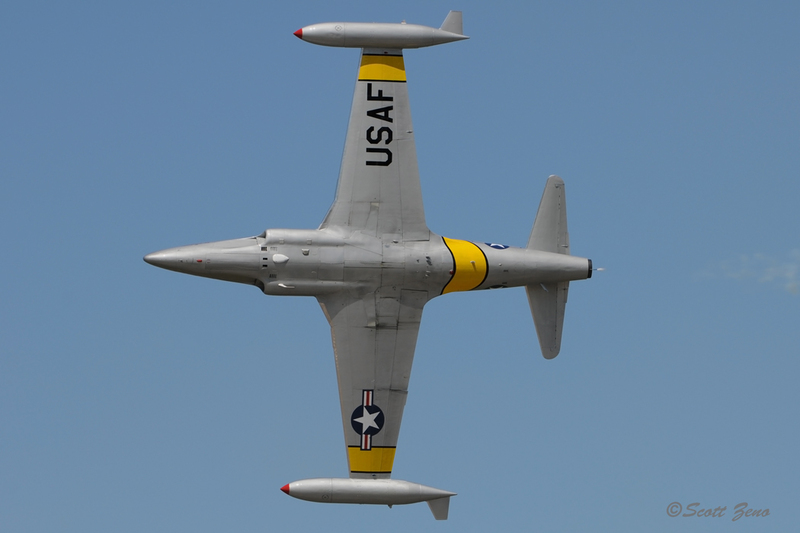 Even without the Thunderbirds, the 2016 “Quonset” Air Show had plenty of entertaining acts and displays to see. 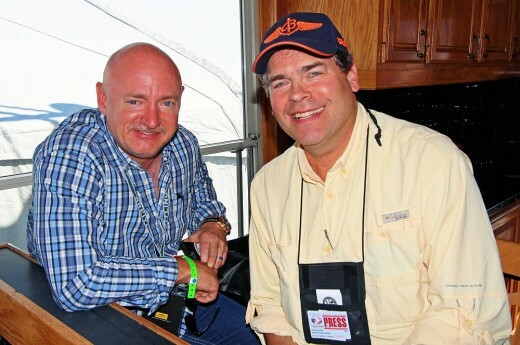 As in the past, it was still a top-notch show.